This year’s Academy Award nominees for Best Director seem fairly standard. All five directors are nominated for films that also received Best Picture nominations. All five films feature well-known celebrities. All five films and directors fared relatively well in other award ceremonies this year (though the Coen pair was nudged out of the Golden Globes by Christopher Nolan, and David O. Russell didn’t get nominated for a Critics’ Choice Award). David Fincher has already grabbed the Golden Globe and the Critics’ Choice Award for directing The Social Network, and many have written off the Directing category at the Oscars as an easy win for Fincher. 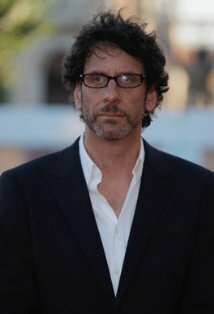 But these five (the Coens here considered a single unit) directors have interesting backgrounds and unique perspectives. While Fincher may very well grab the Oscar, viewers shouldn’t underestimate the other four. Sliding into the pop-cinema scene with the psychological thrillers Pi (1998) and Requiem for a Dream (2000), Darren Aronofsky quickly made a name as the creator of bizarre brainteasers. Aronofsky’s films tend to leave moviegoers confused, amazed, and slightly disturbed. Some of his movies look and feel like a combination of Christopher Nolan’s intriguing psycho-cinema and Reefer Madness‘s, well, madness. While The Wrestler (2008) was arguably a break from the typical Aronofsky dazzler, Black Swan, his latest thriller and 2010 Oscar-nominated film, certainly bears the Aronofsky mark of madness. This is Aronofsky’s first Oscar nomination. Despite the bizarre brilliance of some of his past films, none of them gained Aronofsky notice as a director or writer at the Academy Awards. 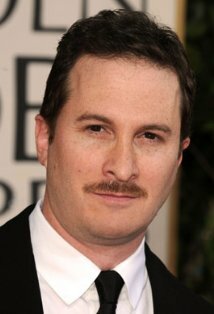 Aronofsky has screenplay writing credits for Pi (1998), Requiem for a Dream (2000), and The Fountain (2006). Interestingly, Aronofsky is also a producer of The Fighter (2010), the film that gained David O. Russell his nomination for directing. Regardless of what one may say of his past films, Darren Aronofsky’s recent breakthrough at the Oscars gives me a reason to see the upcoming installment of the Jackman-as-Wolverine franchise (The Wolverine), which Aronofsky will direct. The Fighter (2010) is just David O. Russell’s latest addition to his expanding underdog filmography. His early films, Spanking the Monkey (1994) and Flirting with Disaster (1996), feature humorously agitated underdogs who struggle with romance and identity. His 1999 film, Three Kings, transformed three male prima donnas (George Clooney, Mark Wahlberg, and Ice Cube) into an underdog trio of soldiers who become thieves and, eventually, heroes. And perhaps his most popular film until now, I Heart Huckabees (2004), features a couple of hopelessly lost thinkers (Jason Schwartzman and, again, Mark Wahlberg) who simply want to understand the world around them. 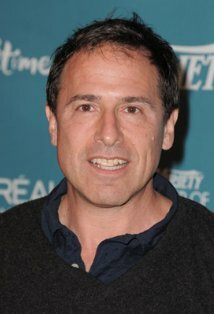 In addition to the out-of-towner-like qualities of his characters, David O. Russell may be the underdog of the 2010 nominated directors. When all counted, Russell has less past nominations/awards than the other four nominees. Not only is this Russell’s first nomination for directing, this is Russell’s first nomination in any category at both the Academy Awards and the Golden Globes. The film that landed Russell these nominations, The Fighter, is also Russell’s first high-profile attempt at a drama. Tom Hooper’s filmography almost reads like the index of a history textbook. Hooper featured the life of English sports manager Brian Clough in The Damned United (2009). He highlighted the voice and mind of British politician Lord Longford in Longford (2006). 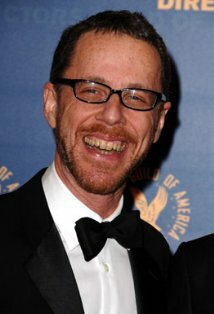 In 2005, he directed a mini-series about Queen Elizabeth I , and, in 2008, he directed a mini-series about John Adams. And, now, Hooper presents the life of King George VI of England in his Oscar-nominated film, The King’s Speech (2010). 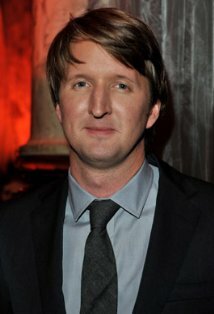 According to this interview with Tom Hooper, bits of Lionel Logue’s actual diary even made it into the movie’s script. Like Russell and Aronofsky, this is Hooper’s first Oscar nomination. This is, however, not Hooper’s first nomination for directing. The majority of Hooper’s directing experience is in television. In fact, Hooper has been nominated for three Emmy Awards. He was nominated in 2004 for directing ExxonMobil Masterpiece Theatre: Prime Suspect 6; in 2006 for Elizabeth I; and again in 2008 for John Adams. Of the three, only Elizabeth I won Hooper an Emmy. From Seven (1995) to The Social Network (2010), David Fincher has dazzled audiences with his wonderfully risky direction. His early films, Alien³ (1992), Seven (1995), and The Game (1997) showed that Fincher had a knack for putting his characters through emotional (and sometime physical) hell. Fincher fine-tuned his bold approach to filmmaking in 1999 when he directed Fight Club. Fincher’s screen adaptation of the Chuck Palahniuk novel earned him status as a pop-culture icon. Having improved his adventurous, risk-taking style of direction, Fincher went on to direct two thrillers, Panic Room (2002) and Zodiac (2007). Fincher’s first brush with the Academy Awards came from his direction of The Curious Case of Benjamin Button (2008). The movie earned thirteen Oscar nominations, one of which was for Fincher’s directing. Though Danny Boyle was given the Oscar that year for directing Slumdog Millionaire, Fincher’s film still won three Oscars (Art Direction, Makeup, and Visual Effects). Through The Social Network (2010), Fincher has once again polished his adventurous approach to films and protagonists. Feature-length films, however, are not the only items on his resume. Fincher has worked on music videos for Aerosmith, Paula Abdul, and Madonna. 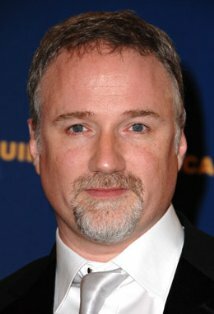 And Fincher lent his voice to the Oscar-nominated short film Logorama (2009). Fincher’s intensity and unpredictability (and his work with Aerosmith, perhaps) make him a true voyager. of their early work, Joel and Ethan Coen then directed The Man Who Wasn’t There (2001). Despite the comparisons, The Man Who Wasn’t There was substantially more successful than the Coens’ earlier work of a similar style. Intolerable Cruelty (2003), The Ladykillers (2004), and Paris, Je T’Aime (2006) were relatively well-received by the movie-going public. From 2007 to 2010, the Coen brothers directed four films that received notice at the Academy Awards, the Golden Globes, or both. No Country for Old Men (2007) won Oscars for directing, writing, and best picture. Burn After Reading (2008) received two Golden Globe nominations, one for Best Motion Picture – Comedy or Musical. A Serious Man (2009) was nominated for two Academy Awards, including best picture. And, now, True Grit (2010) is nominated for an impressive ten Oscars. The fact that True Grit went unmentioned at the Golden Globes seems to be less indicative of the quality of the Coen brothers’ film and more of the quality of the awards themselves. Success at the box office sometimes parallels poor performance at the Academy Awards. And, given some of the movies that succeed at the box office (Clash of the Titans and New Moon, for example) this heuristic is well-proven. In Christopher Nolan’s case, however, many (including myself) believe that his successes in directing should rise above the stigma of the box office. 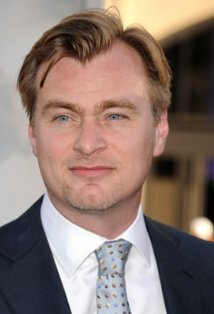 In terms of direction, perhaps films like Following (1998), Insomnia (2002), and The Prestige (2006) aren’t Oscar-worthy, but Nolan has directed other films that, in regards to direction and writing, rival those of the Coen brothers and James Cameron. Many Nolan fans felt robbed when Nolan was not recognized at either the Oscars or the Golden Globes for The Dark Knight (2008). Though the film received eight Academy Award nominations, none were for Nolan, the film’s director and writer. And, now, Christopher Nolan’s directing talents go, once again, unnoticed at the Oscars despite the originality and flow of Inception (2010) (though he is nominated as the writer of Inception‘s original screenplay). At least Nolan fans have the next installment of Nolan’s Batman franchise to look forward to in 2012. The Dark Knight Rises is looking like it will be a dream-come-true for those who love superheroes and celebrities. Christian Bale, Gary Oldman, Morgan Freeman, and Michael Caine will return as Batman, Gordan, Fox, and Alfred. Tom Hardy (from Inception) and Anne Hathaway will be added to the cast as Bane and Catwoman, respectively. And, recently, it has been rumored that Robin Williams will play Hugo Strange. Though, I’m learning not to trust rumors about the cast of The Dark Knight Rises. Past rumors suggested that either Eddie Murphy or Johnny Depp would play the Riddler; Philip Seymour Hoffman would play the Penguin; and Shia LeBeouf would play Robin. So, while I think Robin Williams would be a wonderful addition to the film, I’m not holding my breath.